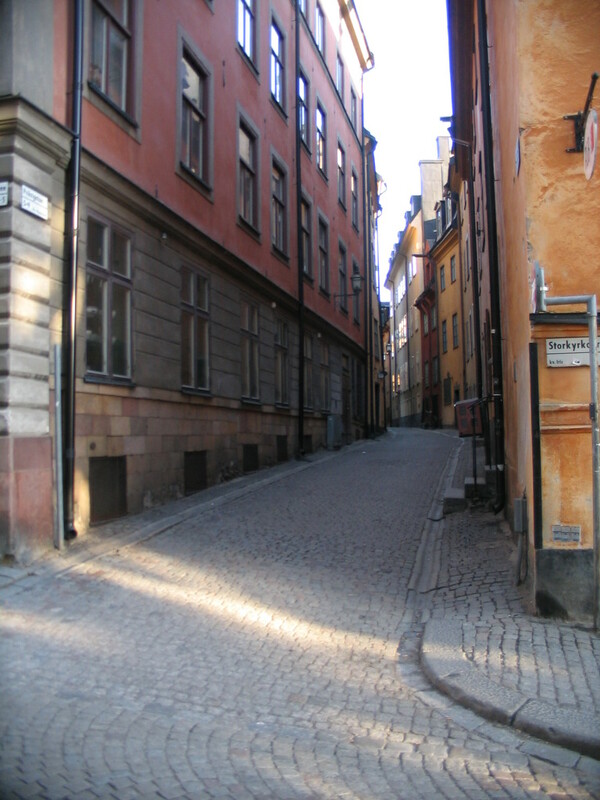 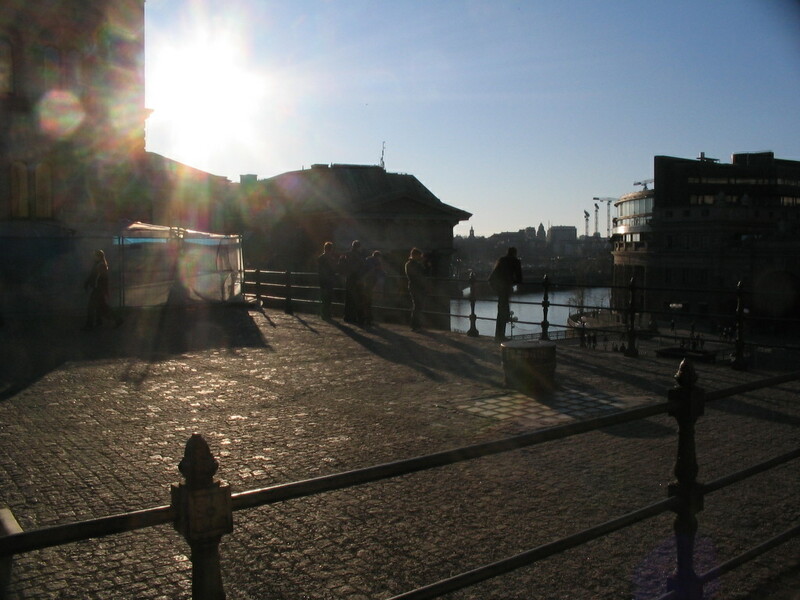 On return to downtown, we stopped at Gamla Stan and made our way back to the hotel on foot. 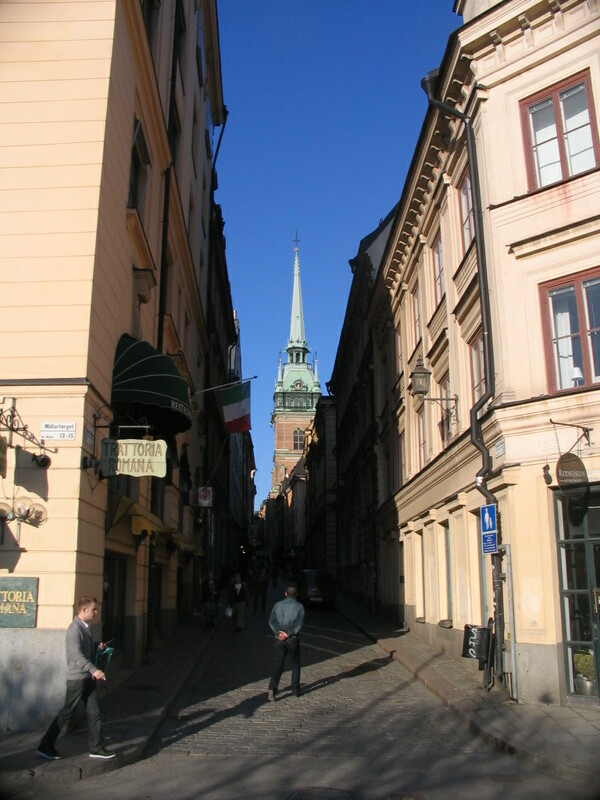 From the edge of Gamla Stan by the water, looking up toward Tyska Kyrkan (the German Church). 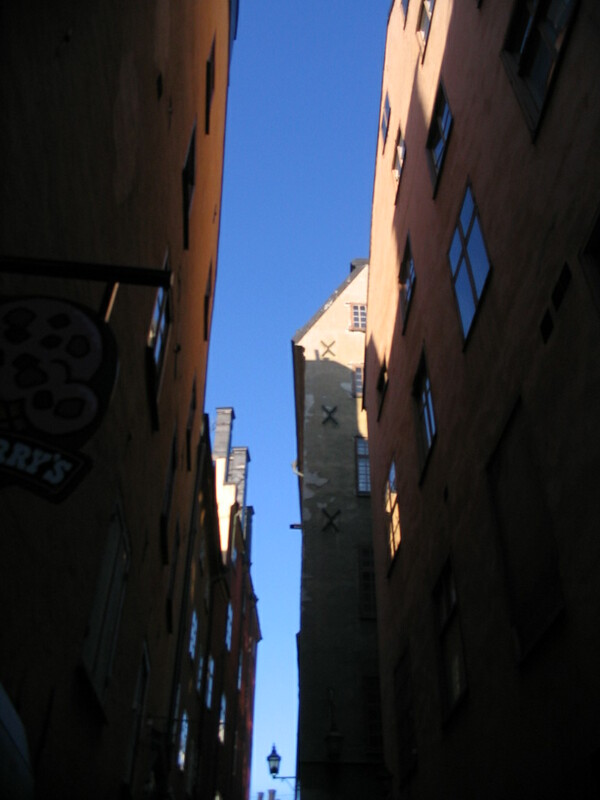 Dense layout x high latitude = elusive sun. 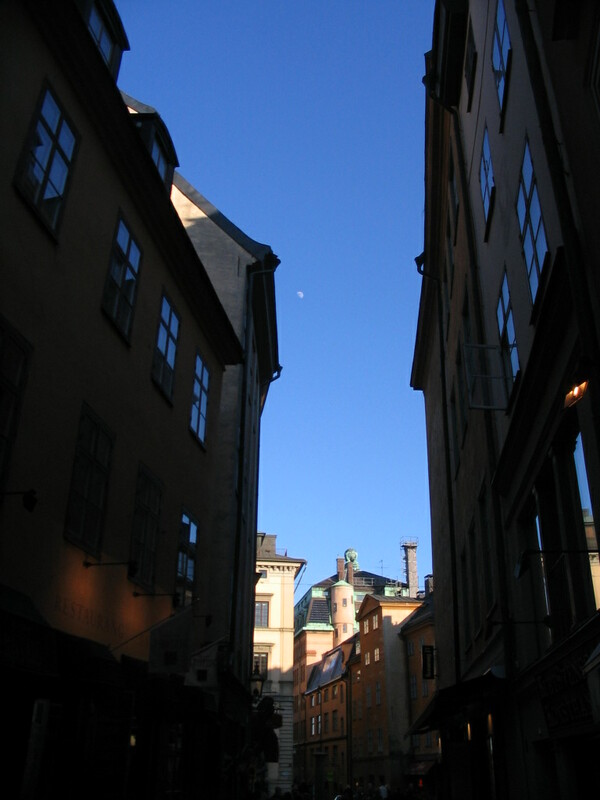 Looking out to, I think, Södermalm across the water. 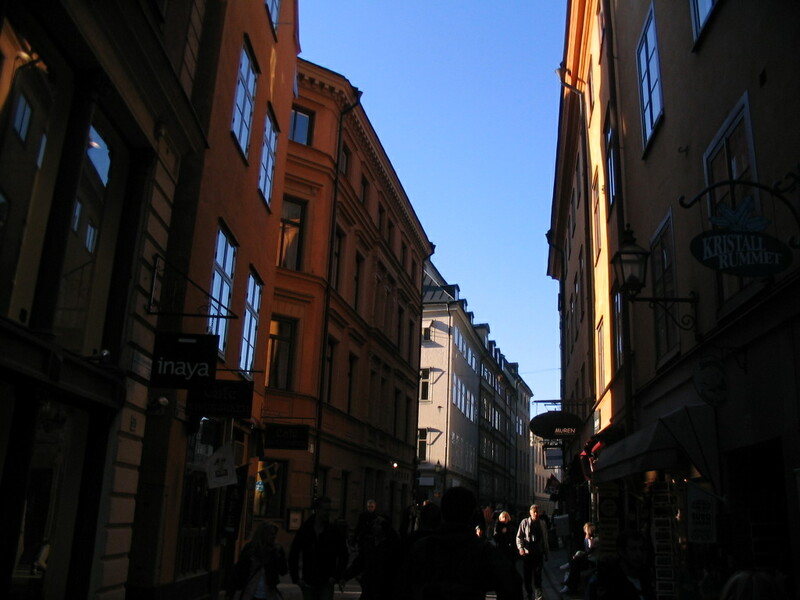 Cool + warm colors (+ ice cream). 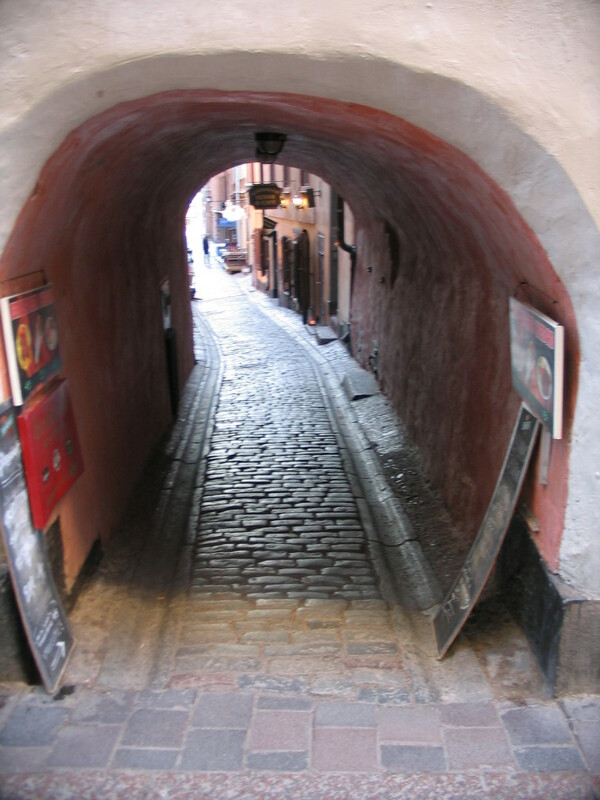 I think old city tunnels are possibly the coolest thing. 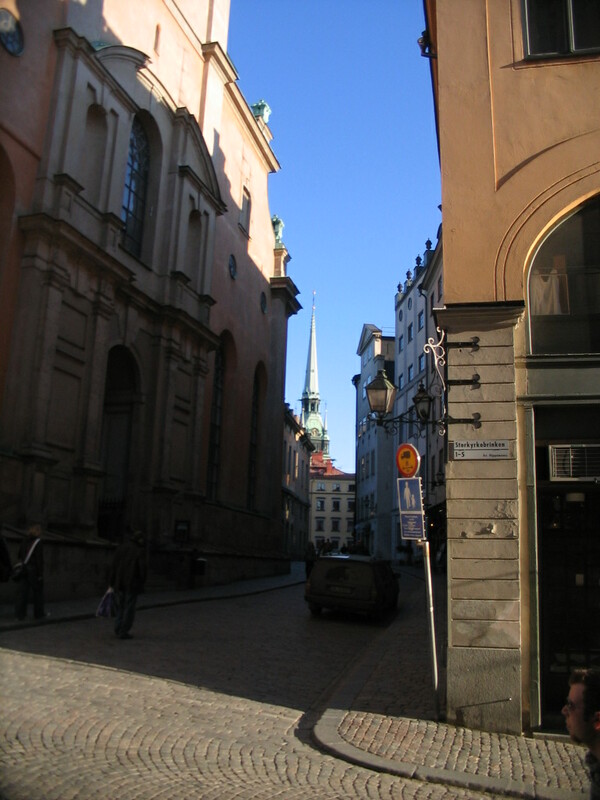 Tyska Kyrkan in the distance, Storkyrkan (the Big Ol' Church) to the left. 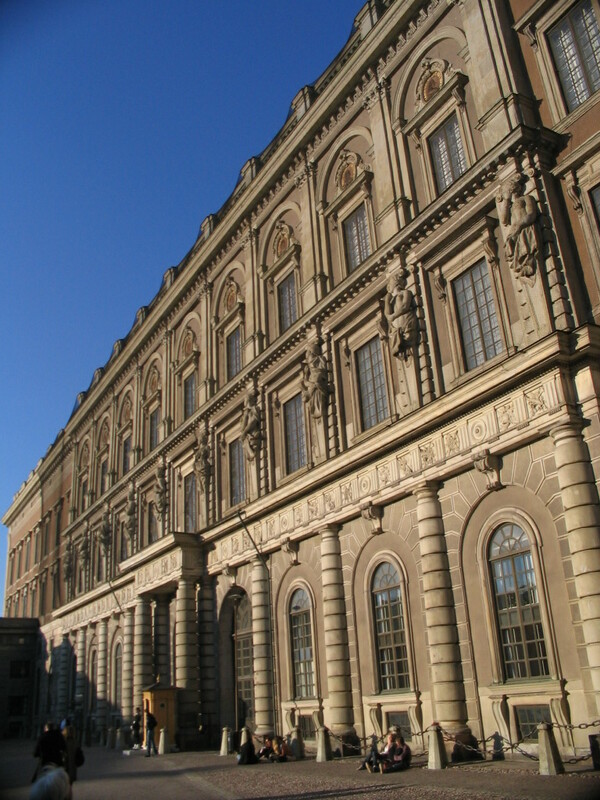 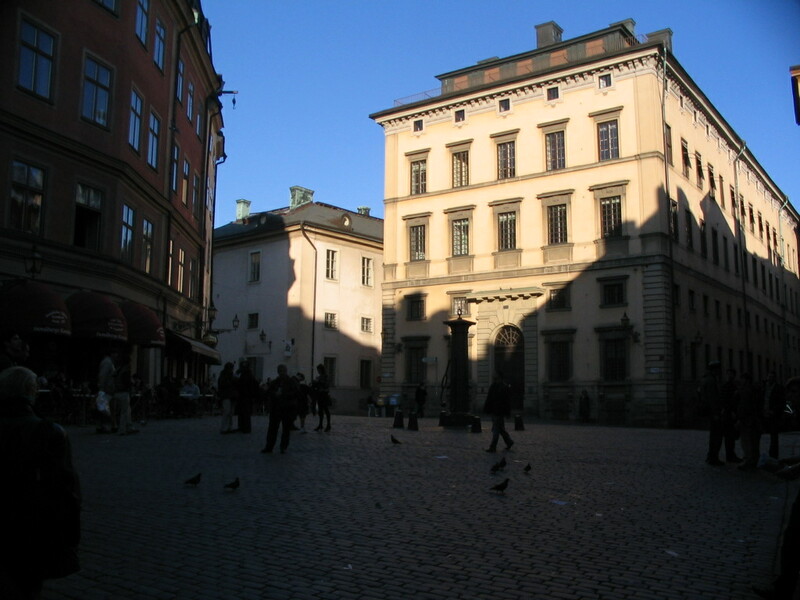 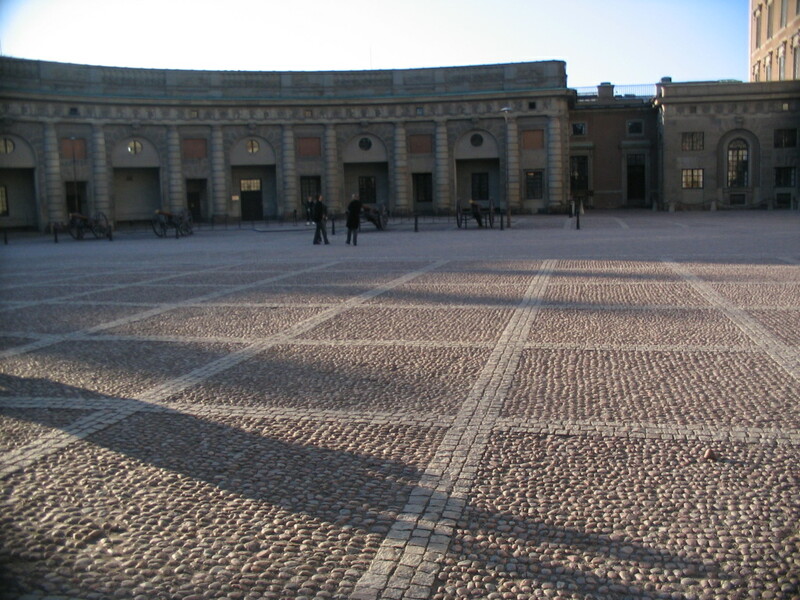 The arced front wings of Kungliga Slottet (the Royal Palace). 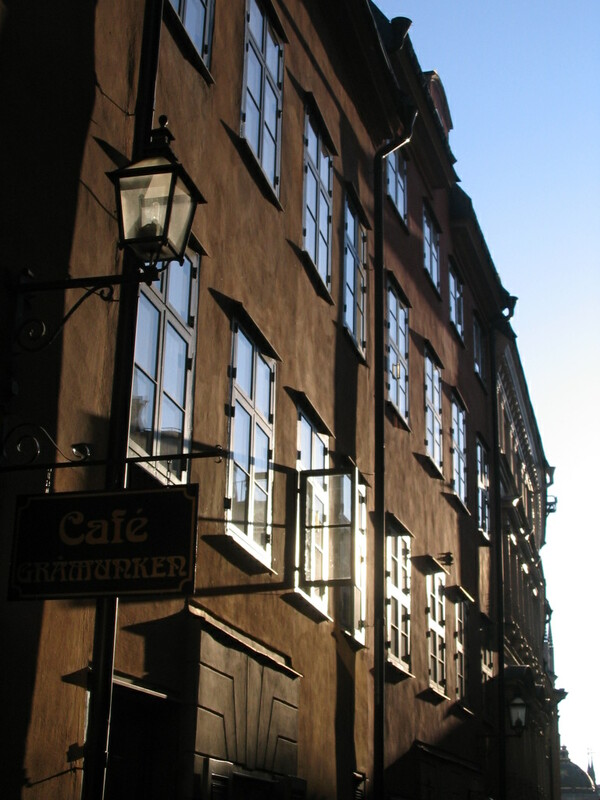 The main façade of Kungliga Slottet. 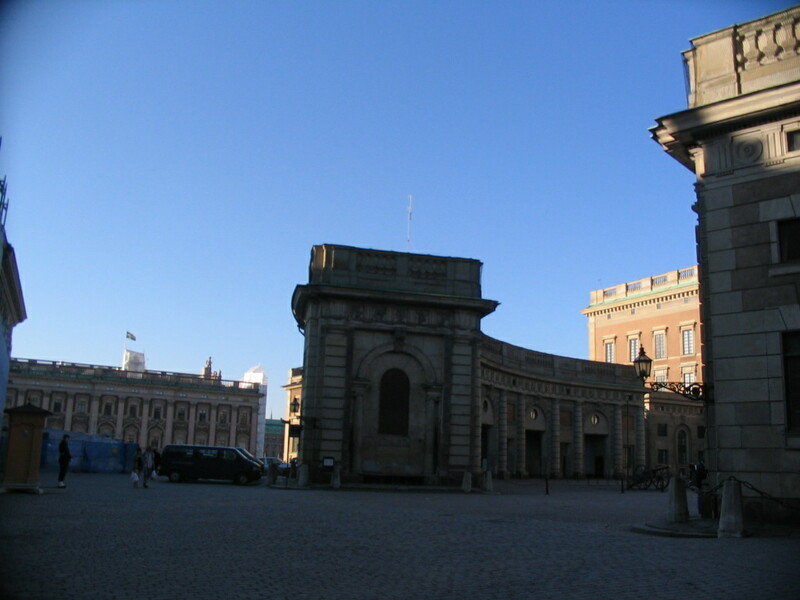 The terrace outside the palace that looks down to the canal to the north. 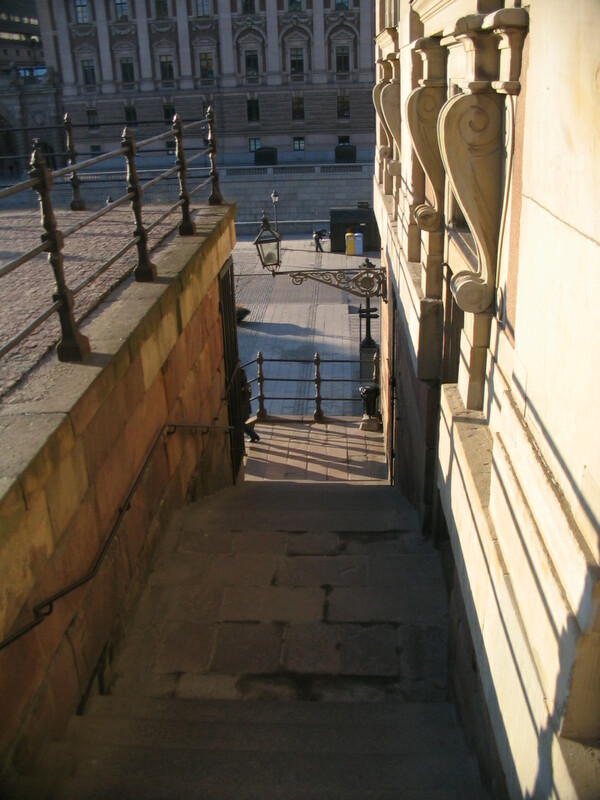 Going down the stairs from the terrace to the lower level. 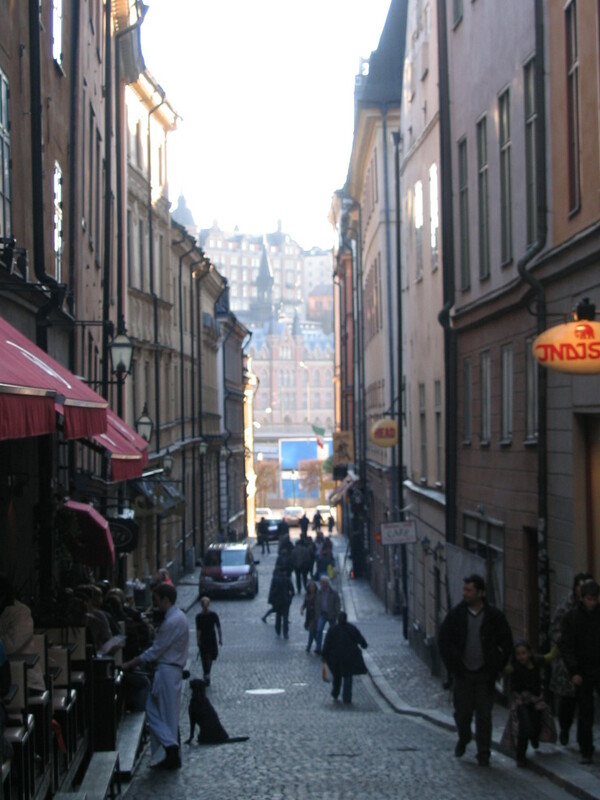 It's a lucky city that can have multilevel public spaces like this. 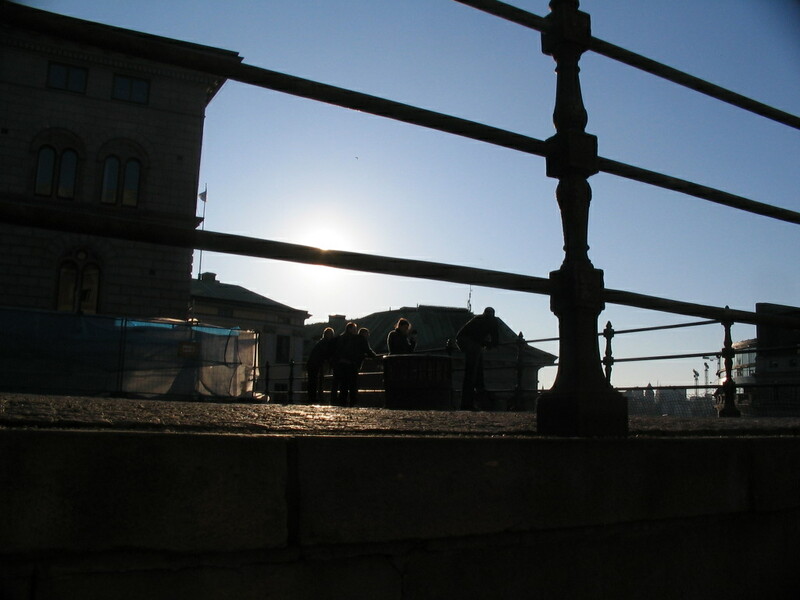 The others still up on the terrace. 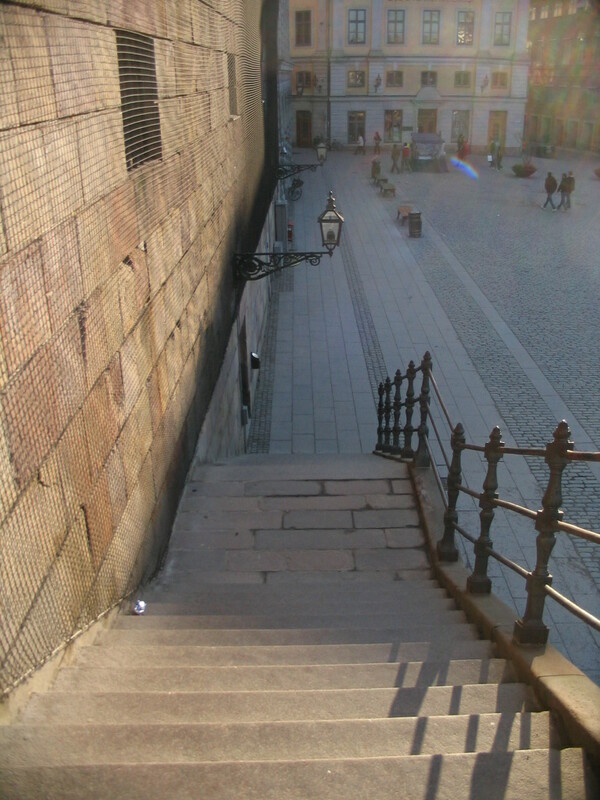 The rest of the steps. 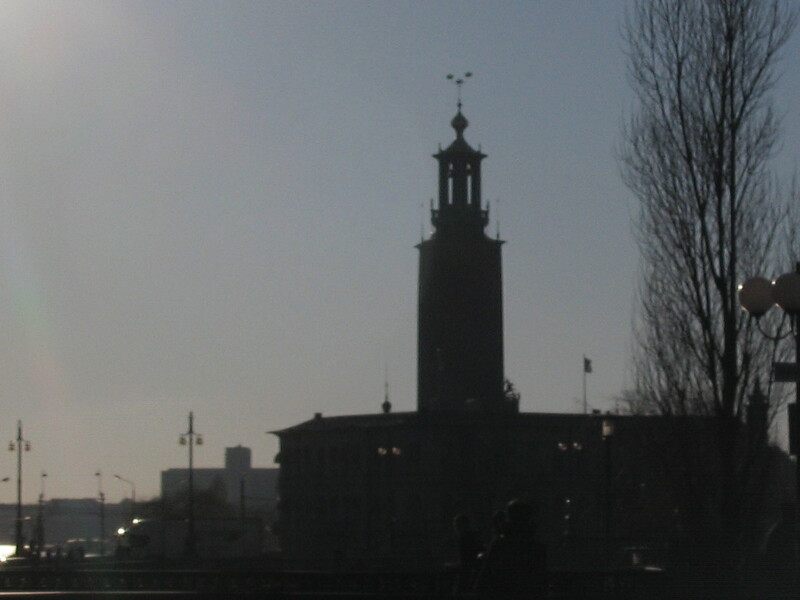 Stadshuset (City Hall) in the distance, like a fever dream. 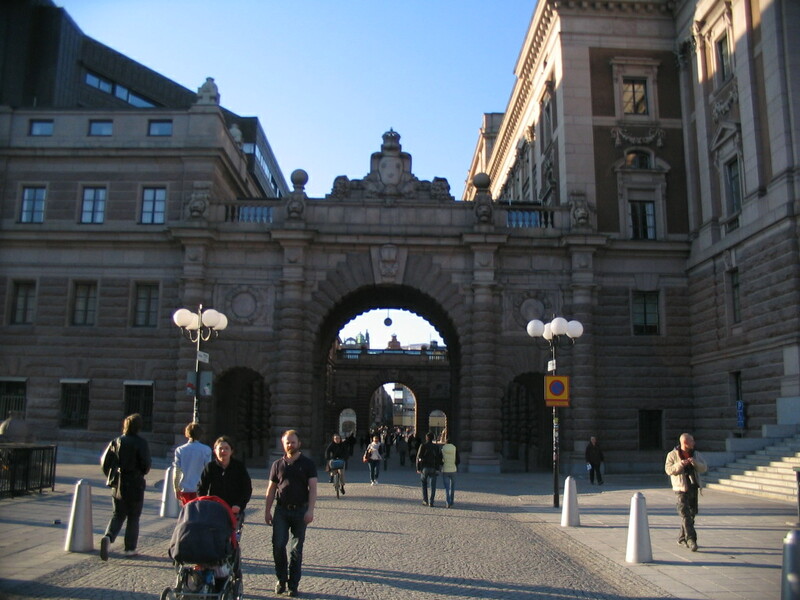 Across the canal, the portals through the Riksdag (Parliament). 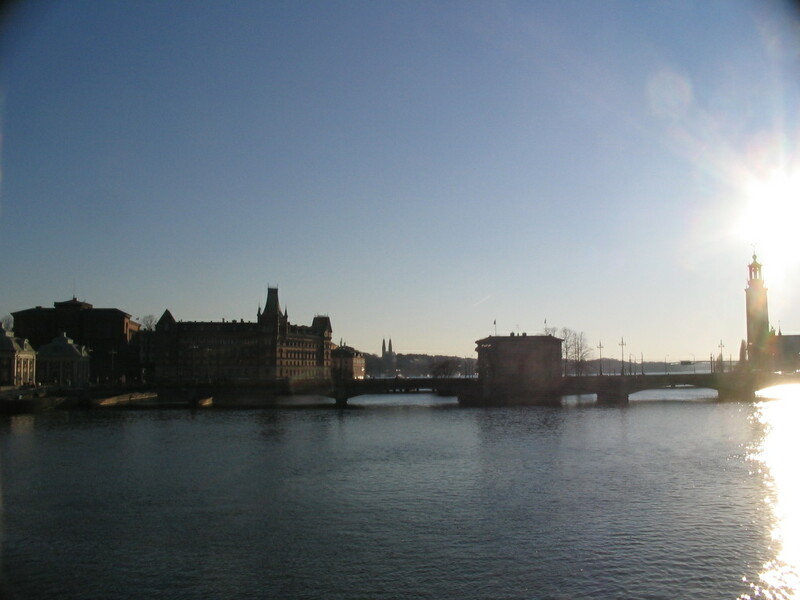 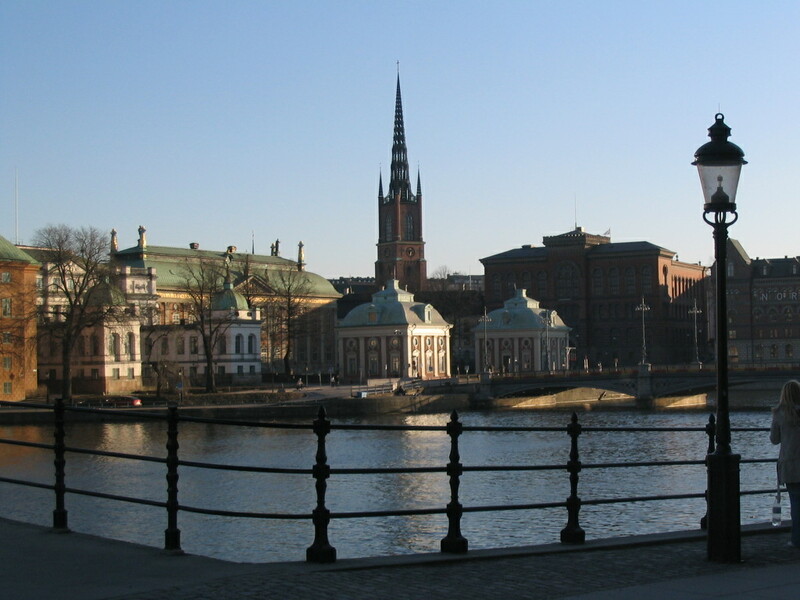 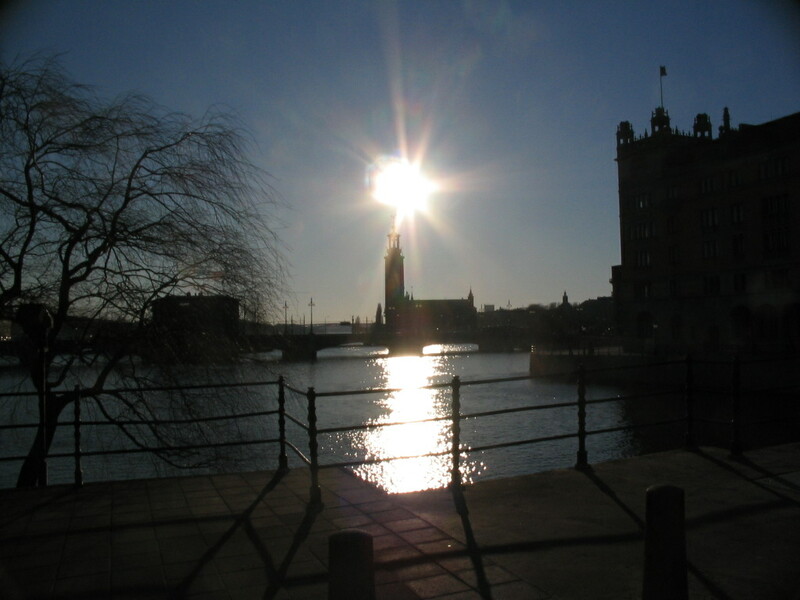 Further to the south, Riddarholmen on the left. 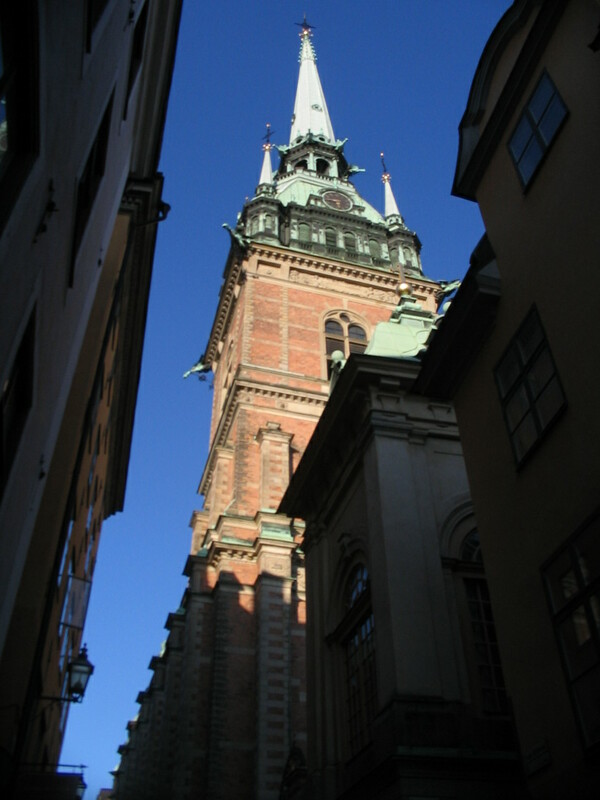 The fabulous open spire of Riddarholmskyrkan (Riddarholm Church).